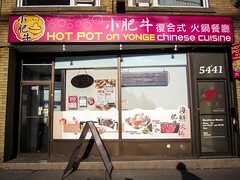 Magic Wok is Chinese restaurant in Markham that The Fiance has been frequenting since childhood. The space hasn’t changed much in the past decade and the restaurant shows its age. Years ago, customers would have to hunt for parking in the private lot and wait for a table. On our past two visits this year, the parking lot was less hectic but still 90% full. Atmosphere: Magic Wok is a stand alone building with a stop light conveniently located at the entrance to their parking lot. In the main dining area the majority of tables were large round ones for big groups. The decor was worn and the chairs became uncomfortable as we enjoyed our meal. 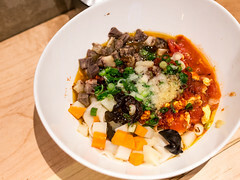 While a face lift would brighten up the restaurant, it had charm and created an expectation of good, smokey, traditional Chinese cooking from the kitchen. Service: Two servers watched over our table and both were friendly and accommodating. The Fiance’s family recognized the ladies from previous visits and they seemed genuinely happy to be at work (not the norm at many Chinese restaurants). We added a dish to our order mid-meal and it arrived before we had cleared the other plates. Generally, service was standard to just above par during this meal. Food: During our last visit, the general consensus was that while delicious, the food used to be better. The bar was set for this visit and we were pleasantly surprised with every dish. 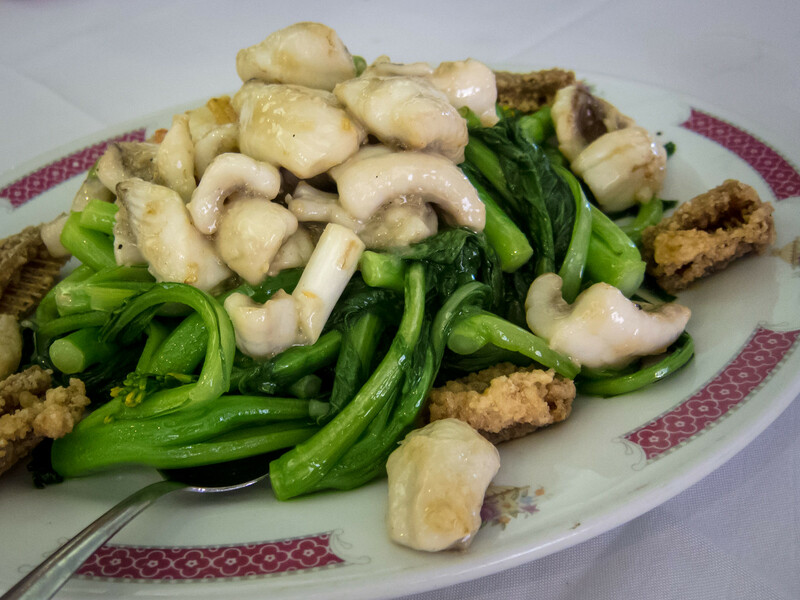 All of the stir fries were tasty, the fish tender, vegetables fresh and had great wok-air. 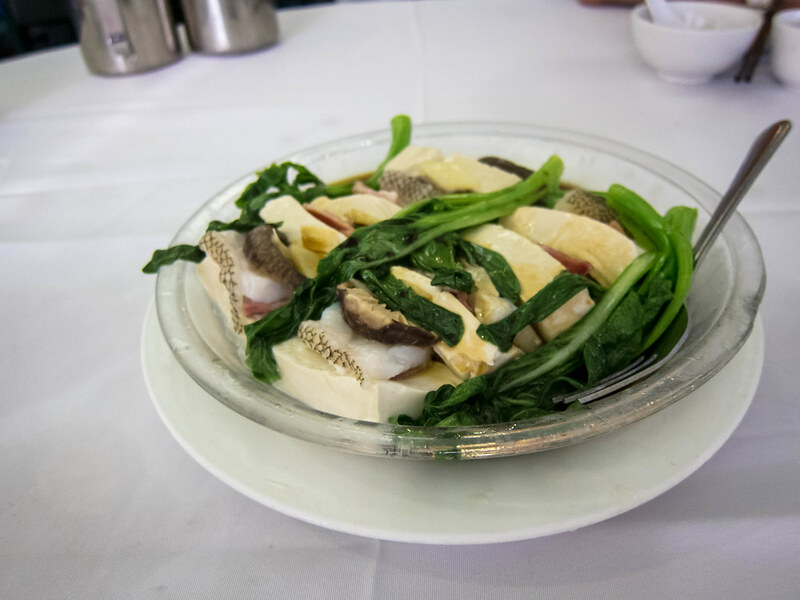 Dinner started with steamed tofu and fish fillet. Both the tofu and fish were buttery soft and well seasoned. It was a challenge to pick up slices using just chopsticks. 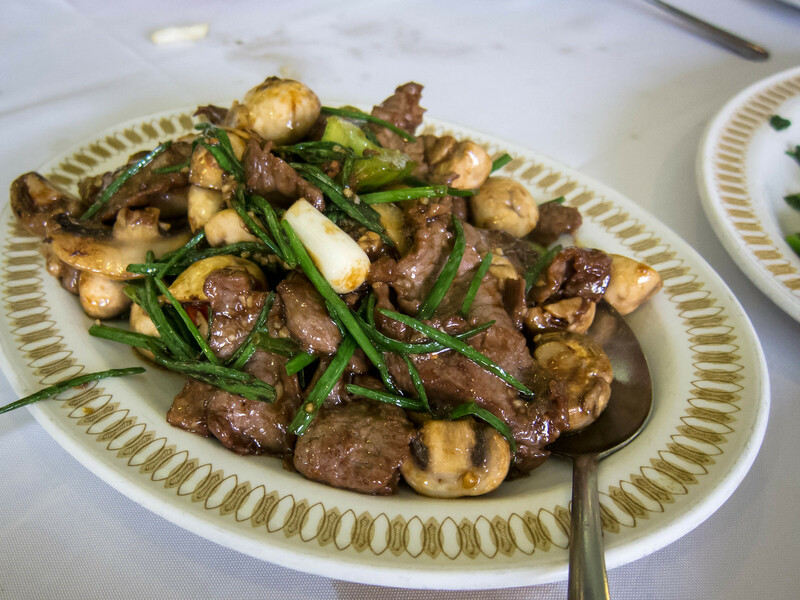 The first stir-fry we ordered was venison slices with button mushrooms and garlic chives. I couldn’t tell I was eating venison, it was tender and covered in a great Asian sauce, but the meat wasn’t distinctive. There was a good smokiness to the dish. 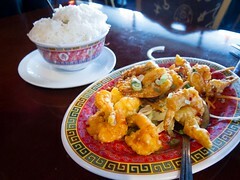 Next up was Chinese vegetables with fried fish fillets, garnished with deep fried small fish pieces. The dish was savoury and the fish tasted clean and fresh. I loved the crunch of the deep fried pieces and you could eat them whole without worrying about bones. Every time I’ve eaten pigeon, it was with The Fiance. He loves the bird and I’m starting to appreciate it more. Pigeon is a typical fowl eaten in Hong Kong but I’m still surprised at how easy it is to find in Toronto. 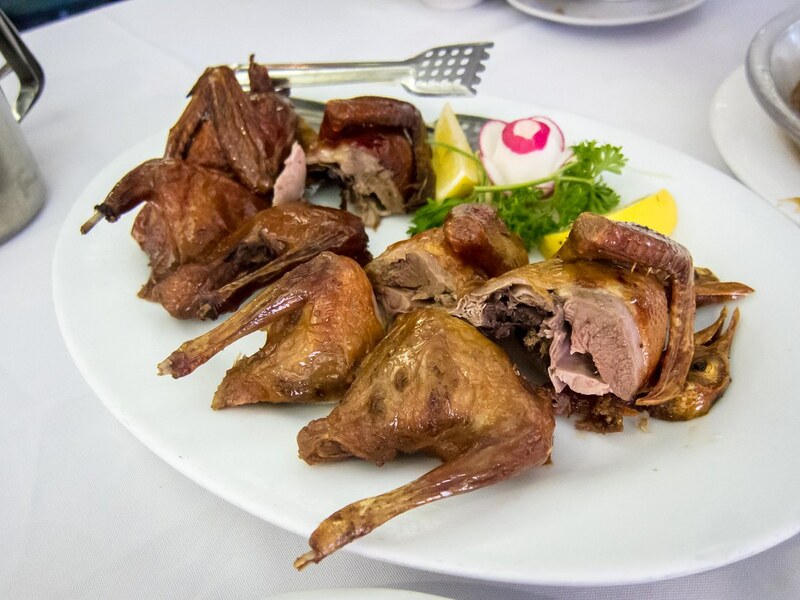 The meat is lean and has a gamier taste, similar to quail but with a fattier skin, like duck. At Magic Wok the birds were on the skinny side, but well cooked with a crispy skin. 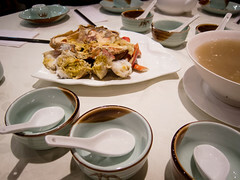 Another classic dish we ordered was the Seafood Bird Nest. 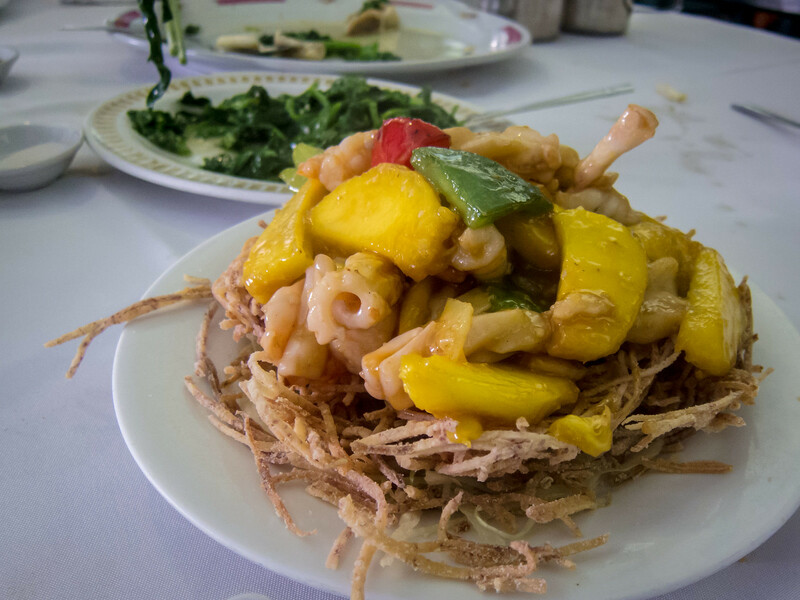 The “nest” was made up of deep fried taro and filled with seafood and mango. The mango was beautifully ripe, caramelized and covered the fresh scallops, squid and shrimp with a sweet, tangy sauce. This was my favourite dish of the night. I loved the crunch of the taro, the softness of the mango and the chewiness of the seafood. Really, all of the components I look for in a dish in terms of flavour and texture. 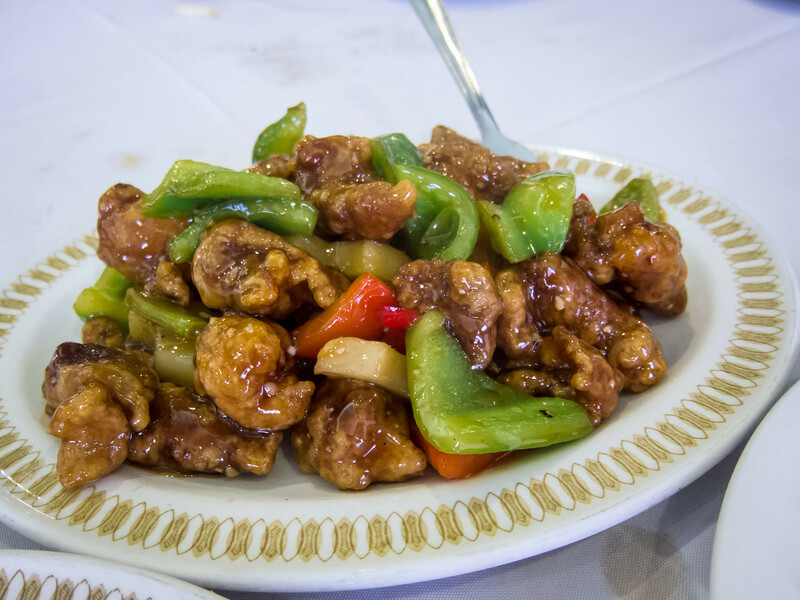 Continuing with the theme of classic Chinese dishes, we added a plate of sweet and sour pork. 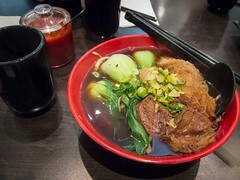 The fried pieces of pork were more batter than meat and the sauce was thick and evenly coated each piece. 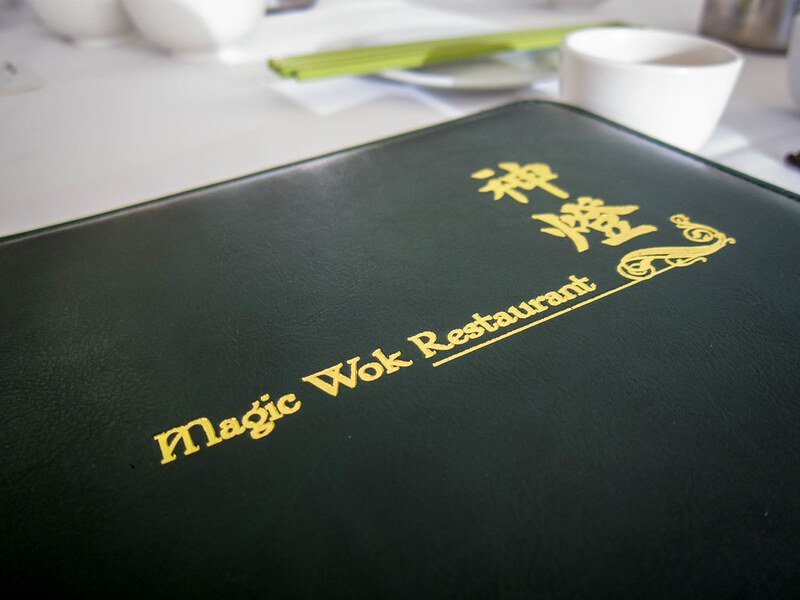 While Magic Wok’s glory days may have passed, the restaurant still delivers a solid meal featuring menu favourites.